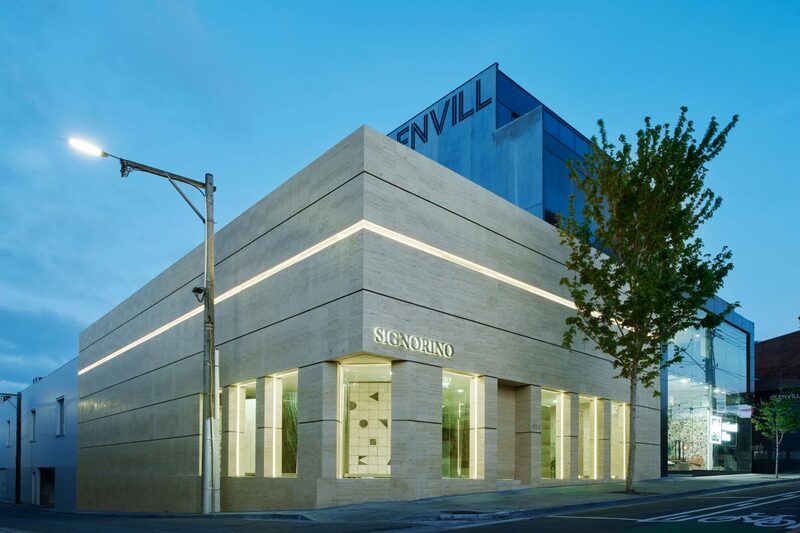 Driven by the core company values of quality, fashion and passion, Signorino has grown into Australia’s number one destination for quality tiles and stone. Offered at Signorino is an unrivaled collection of the best tiles and stone from Italy and across the globe. There is something in our range for every project or need, with products on offer including but not limited to: Porcelain wall and floor tiles, natural stone slabs and tiles, Italy’s finest Terrazzo tiles and Terrazzo slabs, slim porcelain slabs and mosaics. Signorino have supplied tiles and stone to countless stunning houses and apartments over our long history, including many of the most luxurious homes in Melbourne and across Australia. Our extremely knowledgeable and experienced team work closely with each client to select the perfect products for their projects, large or small and across all budgets. We at Signorino are firm believers that there is no substitute for quality, and we take great pride helping clients create homes that they will love for many years to come. Signorino are the leading tile and stone supplier for the commercial sector, and the name trusted by the biggest names in interior design and architecture for their most important projects. In working with Signorino, our clients enjoy access to the best products, the widest range, most competitive pricing and strongest product knowledge in the industry. Thanks to our incredibly well stocked distribution centre, you’ll have what you need – when you need it. We specialise in all things multi-residential, retail, hospitality and more, with notable projects including Melbourne Airport and Sydney Airport, Melbourne Myer Emporium Shopping Centre and Politix stores across the country. For the ultimate stone-sourcing experience, look no further than Signorino Stone Gallery. Dedicated to an incredible selection of natural stone slabs, this enormous 2000 square meter showroom allows clients to walk through aisles of gorgeous stone and select their preferred slabs, all with the guidance of our stone experts. Complimenting this collection of timeless material is a huge range of thin porcelain slabs, with Signorino proudly boast Italy’s three leading thin porcelain brands: Laminam®, Kerlite® and Slimtech®.